State Express Transport Corporation operates buses from Tirunelveli to Ernakulam and Ernakulam to Tirunelveli. 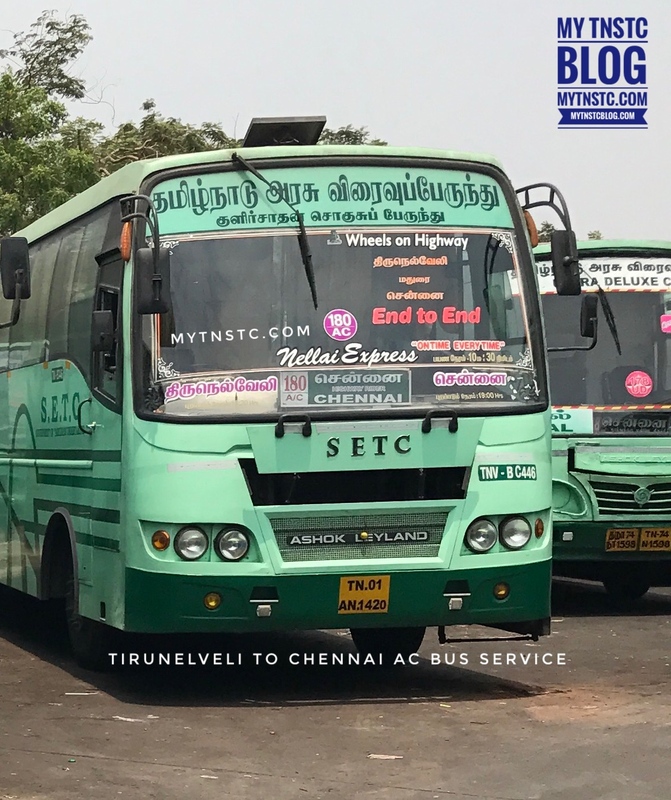 The bus service is a hit among the people of Tirunelveli and Ernakulam as it connects two popular cities. The service operated by SETC is an inter state service as it connects Ernakulam, a popular city in God’s Own Country Kerala. The bus used for service is built in ashok leyland chassis by a private bus building company with air suspension and pushback seats for comfort. The bus is non air conditioned version with tilting glasses for fresh air. SETC operates 2 bus service in a day from Ernakulam and Tirunelveli, the route no. of the services are tagged as 736 T. The total kilometers covered by the bus is 317 and journey time is 7 hours, the kilometers and journey time is approximate may vary due to traffic and road conditions. The route taken by SETC for the trip from Tirunelveli is Thenkasi, Shencottah, Kollam, Alapuzha, Cherthala and reaches final destination Ernakulam. The bus service have an online reservation facility for both the buses, the passengers are requested to book the bus service online by visiting www.tnstc.in and passengers can also visit nearest SETC computerised ticket booking center . The journey fare per passenger excluding the reservation charges is Rs. 320. The buses from Tirunelveli starts at 08:00 am and 09:05 pm reaches its destination at 03:00 pm and 03:05 am respectively. The bus service from Ernakulam with reservation facility starts at 9pm and reaches its destination at 4:00 am.